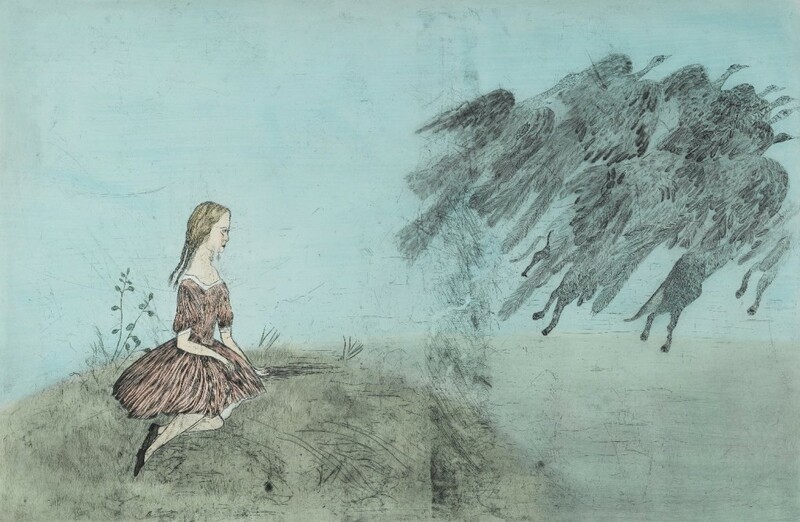 Kiki Smith, Come Away from Her (After Lewis Carroll), 2003, aquatint, drypoint, etching, and sanding with watercolor additions, 50 1/2″ x 74″. 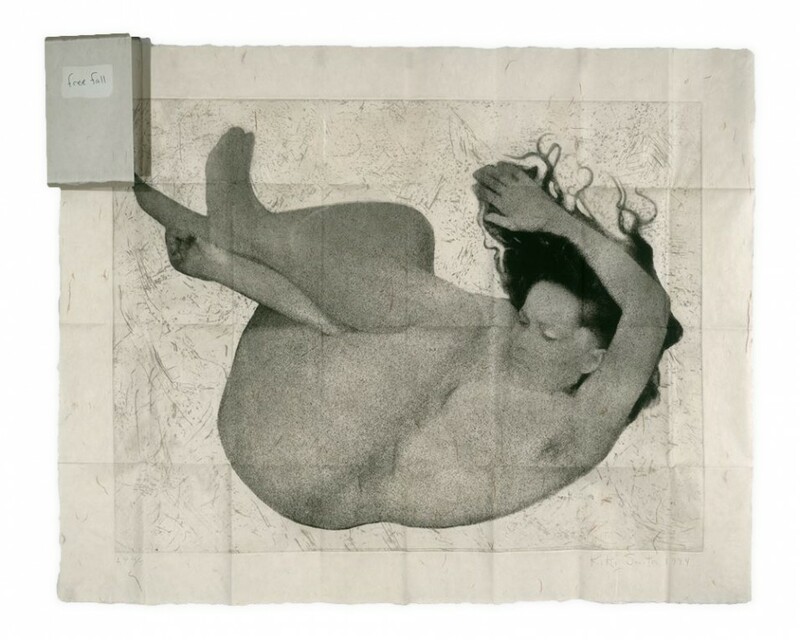 Free Fall, 1994, intaglio in one color with photogravure, etching, and drypoint on paper , 33 1/4″ x 42″. 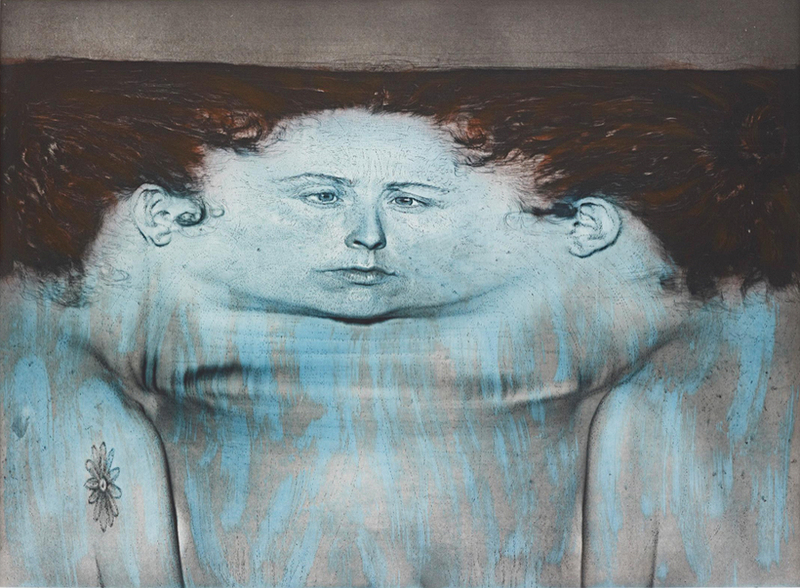 My Blue Lake, 1995, photogravure, à la poupée inking and lithograph in colors, 43 3/4″ x 54 3/4″. 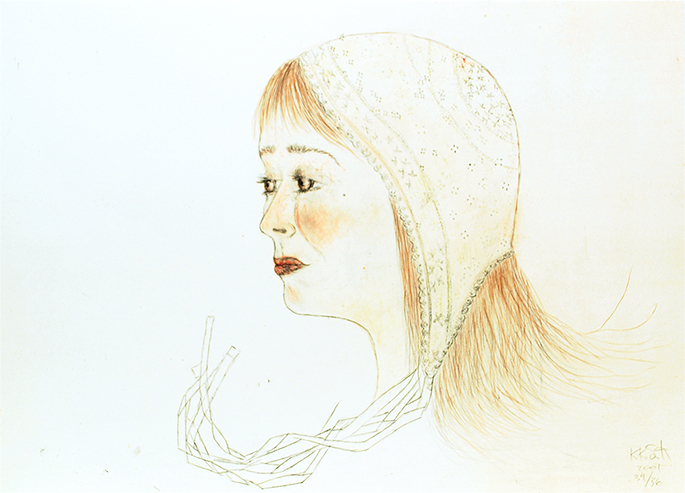 Red Cap, 2001, lithograph with hand colored pencil, 20 1/4″ x 28 1/8″. 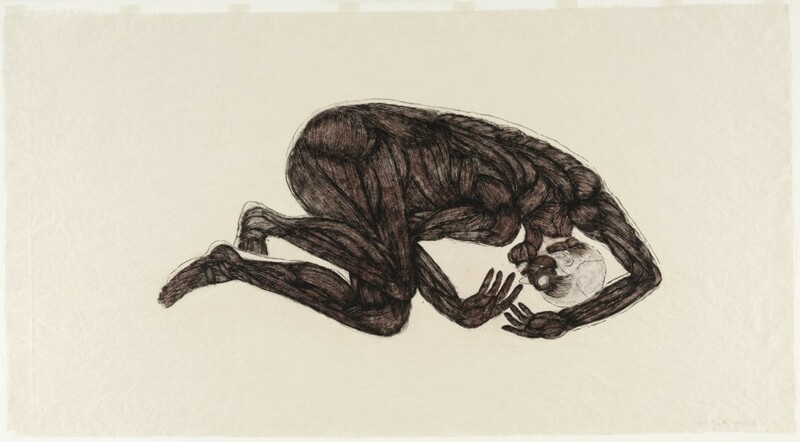 Sueno, 1992, etching and aquatint in two colors on paper, 41 3/4″ x 77 1/2″. 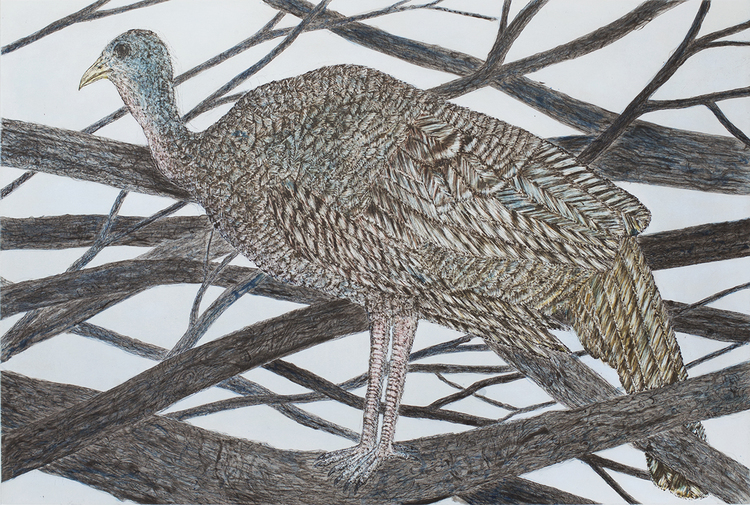 In a Bower, 2015, color etching and aquatint with hand coloring, 33 3/4″ x 44 1/2″.